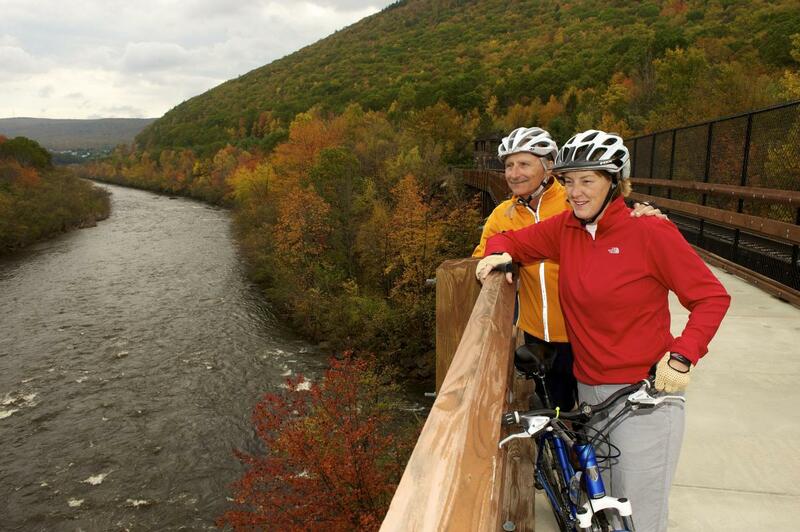 Conquer the 25-mile Lehigh Gorge Trail among a canopy of fiery reds, yellows and oranges! Journey through the Lehigh Gorge State Park along the Lehigh River to experience some of the region’s best foliage. Take on the full 25-mile trail, or opt for a shorter 10 or 15-mile ride. The gentle downhill trail is popular among people with every fitness level. Bring your own wide-tired bike, or rent one. Celebrate the fall season with family & friends by attending an event!